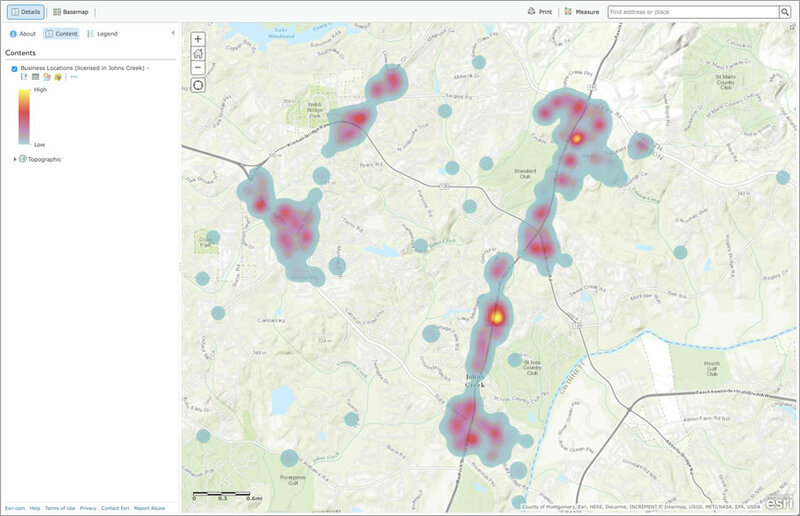 With the can-do spirit and innovation of a startup, the Georgia city of Johns Creek uses open data to literally drive traffic toward local businesses and give entrepreneurs loads of free information. The open data movement in Johns Creek started in 2015 when it became the first Georgia city to sign up with Waze, a community-based traffic and navigation app that’s popular in big cities like Los Angeles; Boston; and Washington, DC. Johns Creek shares public works information such as road closures, accidents, and major events that affect traffic. Waze takes the updates and makes route recommendations, cutting down traffic congestion for everyone in the city. Johns Creek’s senior GIS manager Nick O’Day says that the city has added the names and locations of local businesses to Waze. Anyone driving around the city can, for example, find the best route home and a place to drop off dry cleaning or pick up pizza along the way. 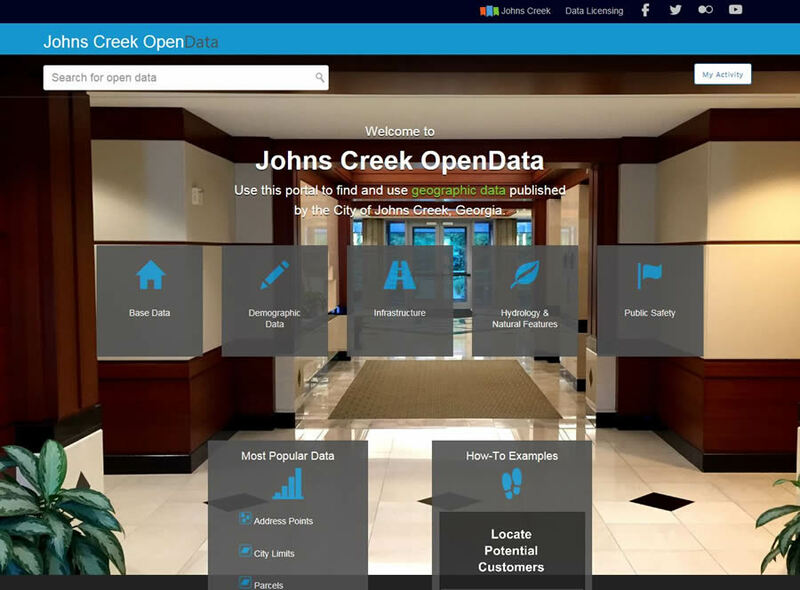 O’Day also worked with Esri to create an open data portal called Johns Creek OpenData. 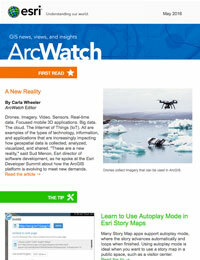 He built the site using ArcGIS Open Data, a feature of ArcGIS Online, the cloud-based mapping platform from Esri. The Johns Creek OpenData site hosts interactive maps and information including address points, parcels, zoning, topology, street centerlines, and public safety. The city enriched its own data with Esri data such as income and lifestyle. Users can open datasets in ArcGIS and view maps of local landmarks like parks; demographics such as educational attainment; infrastructure such as sidewalks and trails; and more. The site also offers instructional videos to help people learn how to use open data to do things such as locate vacant commercial sites or find potential customers. Everything on the open data site is available courtesy of Johns Creek government and would otherwise cost business owners a lot of money. It’s not hard to convince people to use open data. Most people won’t shy away from information that’s trustworthy, helpful, and free. The hard part, according to O’Day, is letting people know the data is there. A recent Pew Research Center study confirmed that only 19 percent of Americans surveyed could think of an example where the local government did a good job providing information to the public about the data it collects. In veritable startup fashion, Johns Creek keeps working to make open data available and then make sure people know where and how to find and use it. The city is also trying to ensure that it offers data that can truly benefit businesses by partnering with Johns Creek Advantage, the city’s economic development arm. 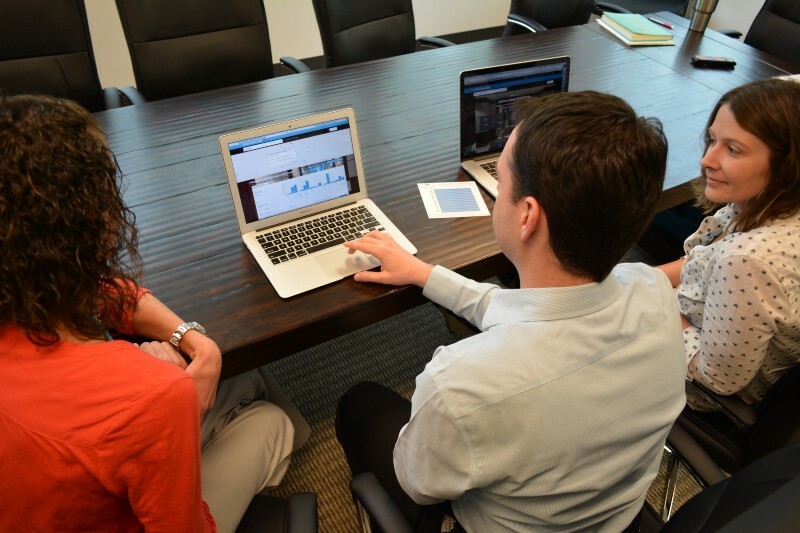 A heat map of licensed businesses in Johns Creek was created in the portal using ArcGIS. It may be a new concept to push open data out through a public portal, but Esri engineered the ArcGIS platform to make it easy to bring the idea to life. Although public awareness may be low, there are many organizations already using ArcGIS to share and work with open data. Governments are looking to liberate data to meet transparency demands and support economic growth. The ArcGIS Open Data feature of ArcGIS Online offers a simple way to find, use, and share information. It makes all vector datasets automatically available for download as CSVs, KMLs, and shapefiles and accessible via the GeoJSON and GeoServices APIs. Courtney Bernardi (left) and Bethany Lavigno-Hountz, of Johns Creek Advantage, consult with Nick O'Day, Johns Creek senior GIS manager, about how to use open data for economic development. Find out more about setting up an open data site.